Two months before the release of Challenge and Commitment: A Defence Policy for Canada, Australia put out its own ambitious defence White Paper setting the country on a course of affordable and realizable self-reliance and defence in depth. As attempted here in Canada, the Australian White Paper of 1987 sought to realistically assert effective sovereignty protection over a large territory and coastline through more efficient application of limited defence capability. While the evolution of Australia’s 1987 White Paper over the last 30 years is beyond the scope of this series, the current operational capability of the Australian Defence Forces (ADF) compared to Canada’s says much about which country has achieved a higher level of self-reliance with respect to national defence. What this provided was a more measured and realistic approach to defence planning. Australia came to the conclusion that its priority should rest with consolidating its capability to defend itself against an escalating conflict in the region. For Canada (see Part 2 of series), this was to be met by a commitment to complete the construction of 12 Halifax-class patrol frigates and 10–12 nuclear submarines capable of operating under the ice. A total of 35 EH101 helicopters were also to be acquired for both operational and search and rescue missions. However, of these planned procurement projects, only the Halifax-class frigates were built, entering RCN service in 1992. While Canada sputtered and flamed out on its naval modernization plans in the 1990s, Australia sailed forward. In terms of submarines, as was the case here in Canada, the Royal Australian Navy (RAN) used Oberon-class submarines in the 1970s and 1980s. 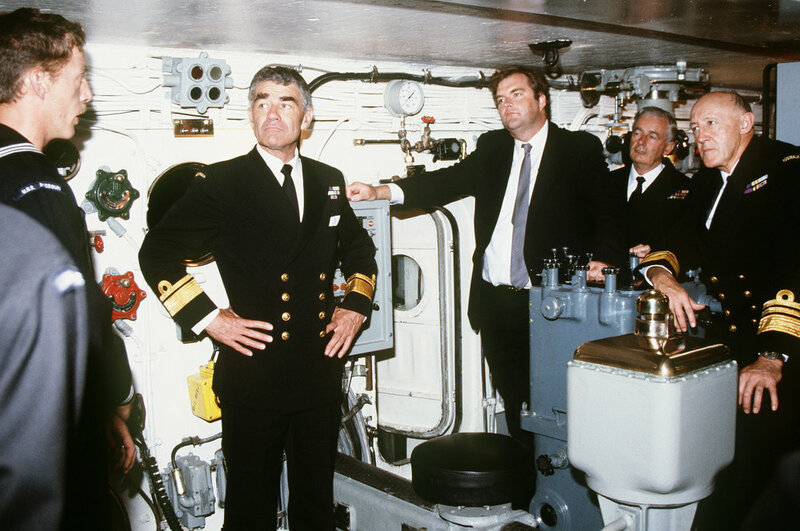 However, in 1987 the government approved the purchase of six Collins-class submarines; these boats were enlarged versions of the Swedish Vastergotland class and were built in Australia between 1990 and 2001. In 2016, as Canada continued to struggle with its faltering second-hand submarines acquired from the United Kingdom, Australia entered into a contract with the French firm DCNS (now called Naval Group) for the construction of 12 Shortfin Barracuda 1A submarines. The boats are due to start coming online in a few years. By way of surface fleet, between 1996 and 2001 Australia acquired eight Anzac-class frigates (FFH) with air defence, surface and undersea warfare, reconnaissance and interdiction roles. In addition, the RAN also commissioned three Adelaide-class guided missile frigates (FFG) between 1984 and 1993. More recently, Australia launched the first of three Hobart-class guided missile destroyers (DDG) armed with long-range anti-ship missiles, a modern sonar system, decoy and surface-launched torpedoes, as well as various close-in defensive weapon systems. Canada, on the other hand, retired the last of its Iroquois-class destroyers this year with no replacement. 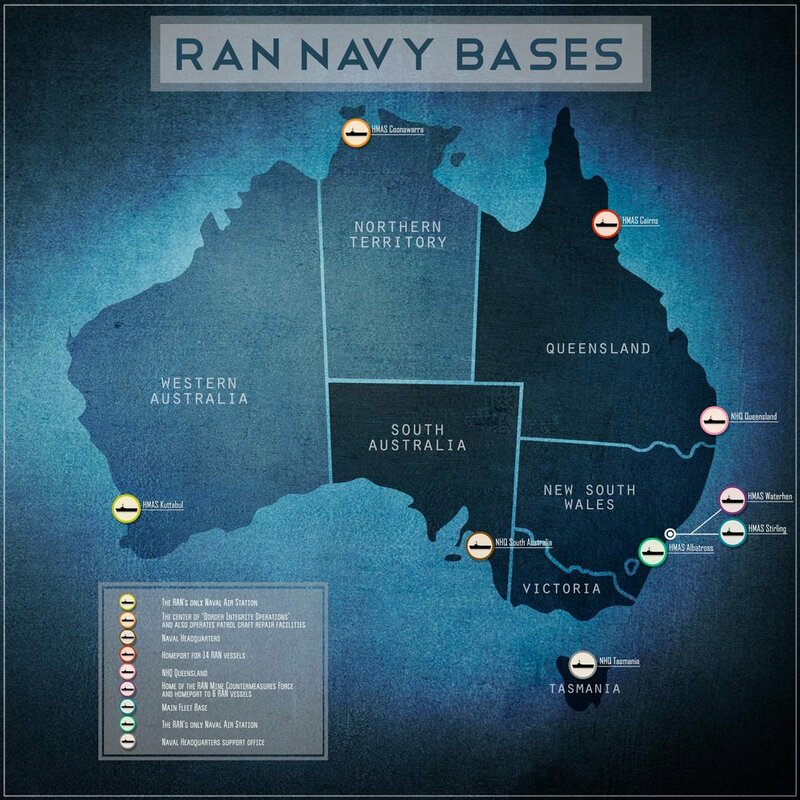 In 2014–2015 the RAN also acquired two Canberra-class amphibious assault ships (LHD) that are capable of landing a force of over 1,000 personnel together with vehicles, equipment and stores. This in addition to the 15 patrol boats that were commissioned between 2005–2007, and the six mine hunters that launched between 1999–2003. And while the Canadian government under Jean Chrétien cancelled the acquisition of the EH101 maritime helicopter program in 1993, Australia had already moved forward with its maritime helicopter project. Today, the Australian fleet is supported with 24 MH-60R Seahawks acquired between 2013–2016 as well as 16 older S-70B-2 Seahawks which have been in service since 1989. Both the Canadian and Australian air forces acquired the F-18 aircraft in the mid-1980s. That was then. Today, the Royal Australian Air Force (RAAF) is well ahead of Canada both in terms of number and capability of its fighter fleet. In addition to its old fleet of 71 F-18 Hornets, the RAAF also currently flies 24 F-18F Super Hornets, which it acquired as an interim aircraft in 2012. Canada’s attempt to acquire 18 F-18 Super Hornets as an interim fighter has been put on hold. Beginning in 2018 Australia will also acquire the first of 72 F-35A Lightning II multi-role fighters with the final aircraft set to be delivered in 2023. Planned additions could bring the number of F-35s in the fleet up to 100. Meanwhile, Canada has pulled back from its planned purchase of 65 F-35 aircraft and has not, as of yet, brought forward a replacement. For the foreseeable future, we will continue to fly our old fleet of 77 F-18s. If there is one advantage that the Australians had over Canada it would be that their incentive for projecting their defence needs into the future was not so intimately tied into set Cold War alliances. Instead, their White Paper reflected objective and realistic assessments of the different levels of threats that the country may have to face alone in the future. While the Canadian government promoted the 1987 White Paper as a made-in-Canada defence policy, it nonetheless was the perceived changing of those overseas alliances that gutted this country’s White Paper and the procurement plans that went with it.